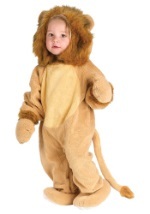 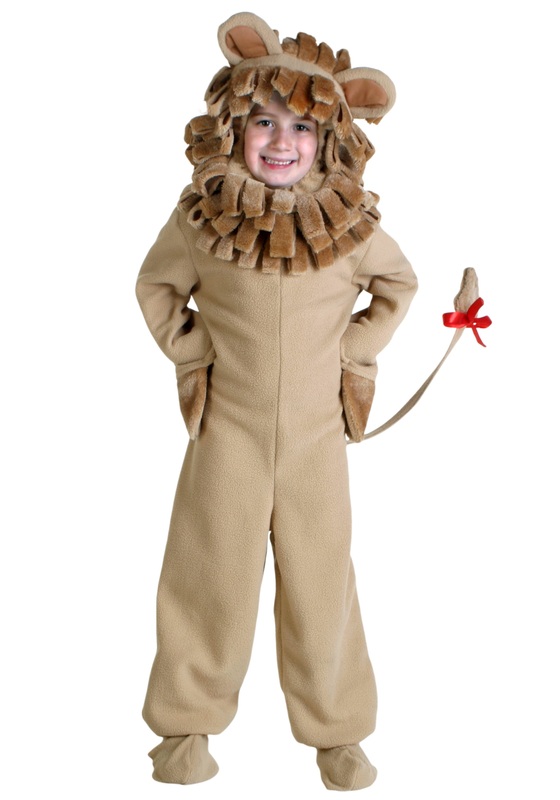 Help your child work on his ferocious roar with this cute lion costume for kids! The kids costume includes a tan polyester fleece jumpsuit that zips up in the back and features a velcro snap at the back of the neck. 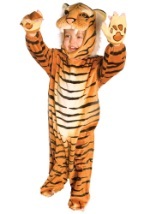 The wrists and ankles feature elastic bands to keep the costume fitting securely, while the wrists feature mitts that hang loosely off of the sleeves. 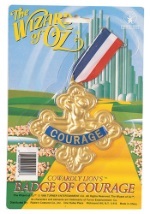 A lion's tale dangles down in back and even features a red ribbon at the end. 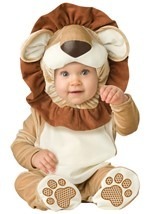 The shoe covers are made of a matching polyester fleece and fit over your child's shoes. 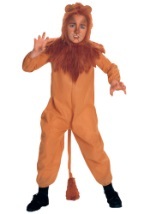 An elastic band around the ankles and under the foot hold them in place. 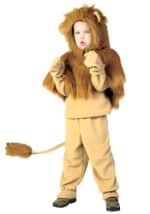 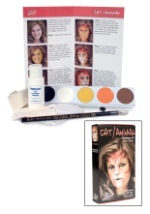 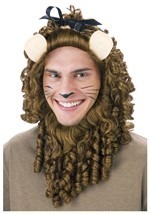 The final piece to this lion costume is the matching fleece headpiece. 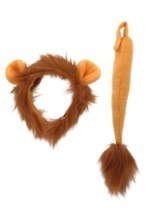 A velcro snap in the back make fitting it on and off easy. 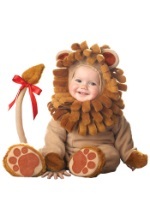 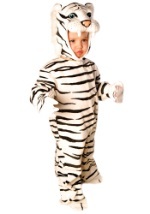 It features a large opening for your child's face and is surrounded by strips of extra soft faux fur that makes up the mane. 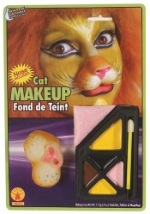 To top it all off, two big cat ears poke out from the sides! 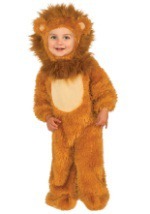 He'll be king of the forest in no time.